Keep up to date on all the latest news! Like us on Facebook! 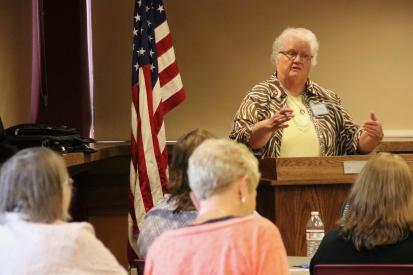 The Friends’ Board meets eleven times a year to plan and complete their goals, and providing assistance for the needs of the Mead Public Library in the future. The Friends invite you to join in supporting the library’s continued success and the invaluable resources it offers your community. If you decide to volunteer a typical schedule would be one day a week for a three-hour shift. Individual annual memberships are available for as little as $15. For your convenience, the Friends of Mead Public Library also offer a life membership for $300. To contact the Friends call Volunteer Services, 459-3400 ext. 2039.